A few weeks ago we mentioned a new design by Zaha Hadid for a planned arts supercomplex in Abu Dhabi, United Arab Emirates. 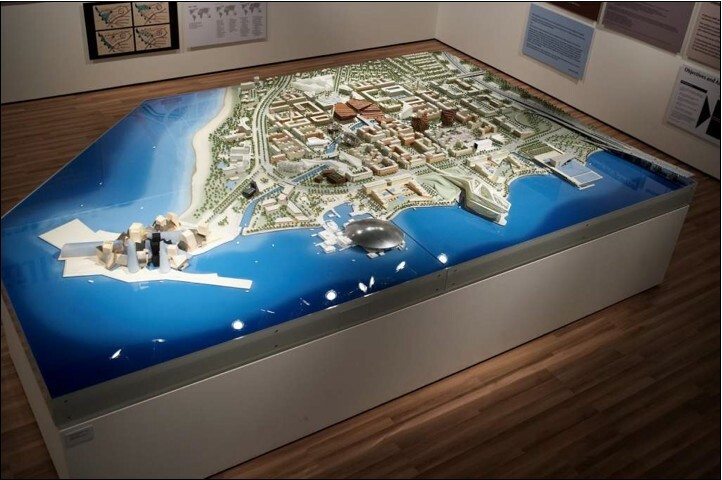 A special UAE correspondant has provided us with photographs of the exhibition. 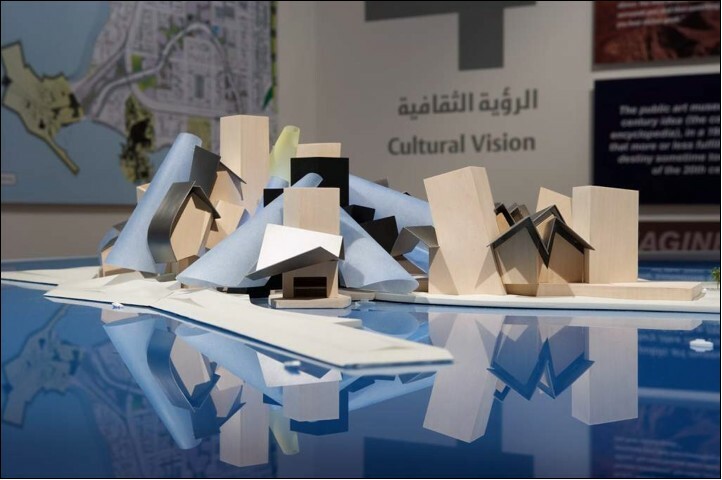 We weren't prepared for the amount of detail and vigor that went into the models and design of each proposal, and for our correspondant's wonderful close-up photography. 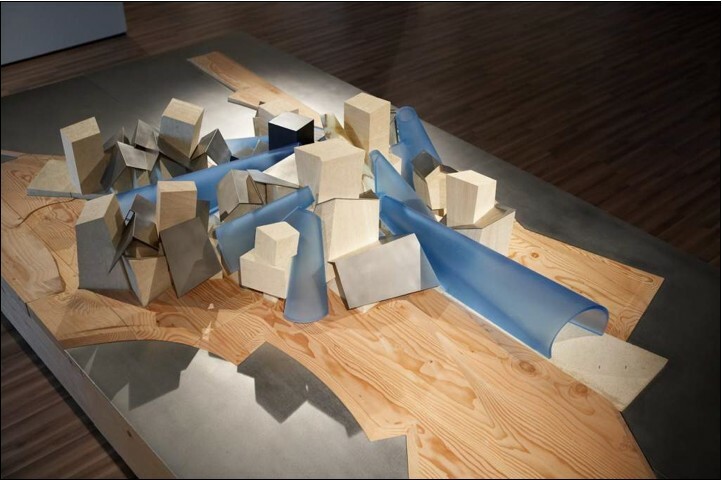 Click Continue Reading for amazing pictures with the Tadao Ando and Frank Gehry proposals. 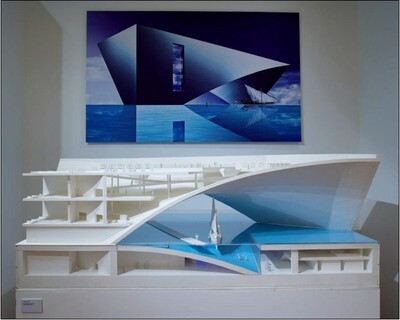 Ando's proposal for a maritime museum is shaped so it straddles a body of water; and allows one to see the underside of the ship inside that body of water with a sub-marine promenade. Gehry's proposal for the Abu Dhabi branch of the Guggenheim Museum features open-air courtyards around which a series of galleries are arranged. The blue cones demark galleries and the large entry cone is a wind tunnel. 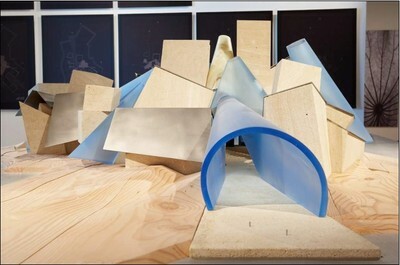 All are designed to circulate air.